Happy Birthday Craftin Desert Divas stamps!! 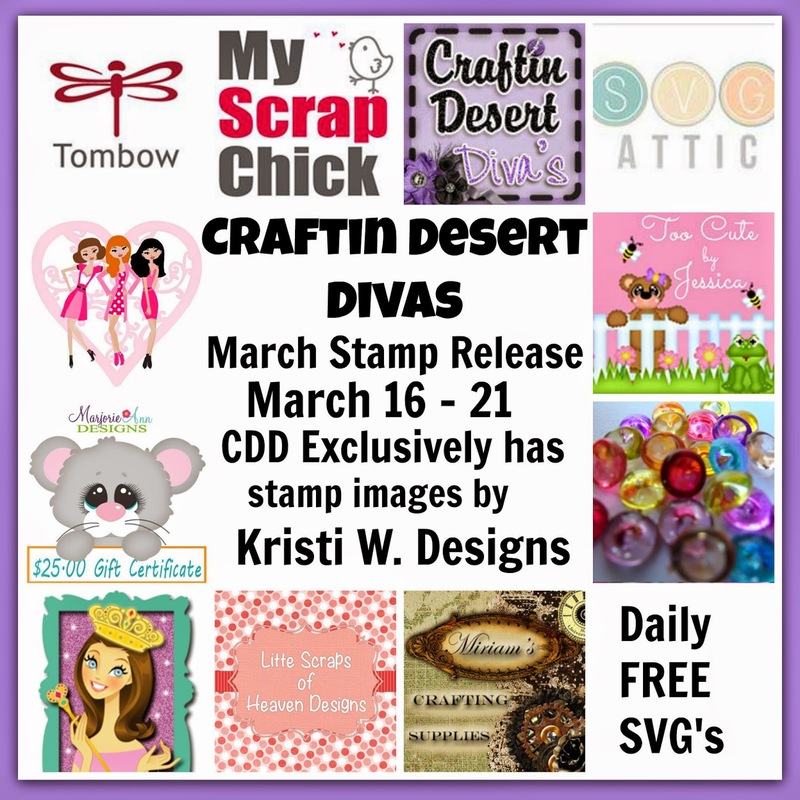 Today is Day 3 of the sneak peeks for the March stamp release at Craftin Desert Divas. We have 7 new stamp sets in this release. 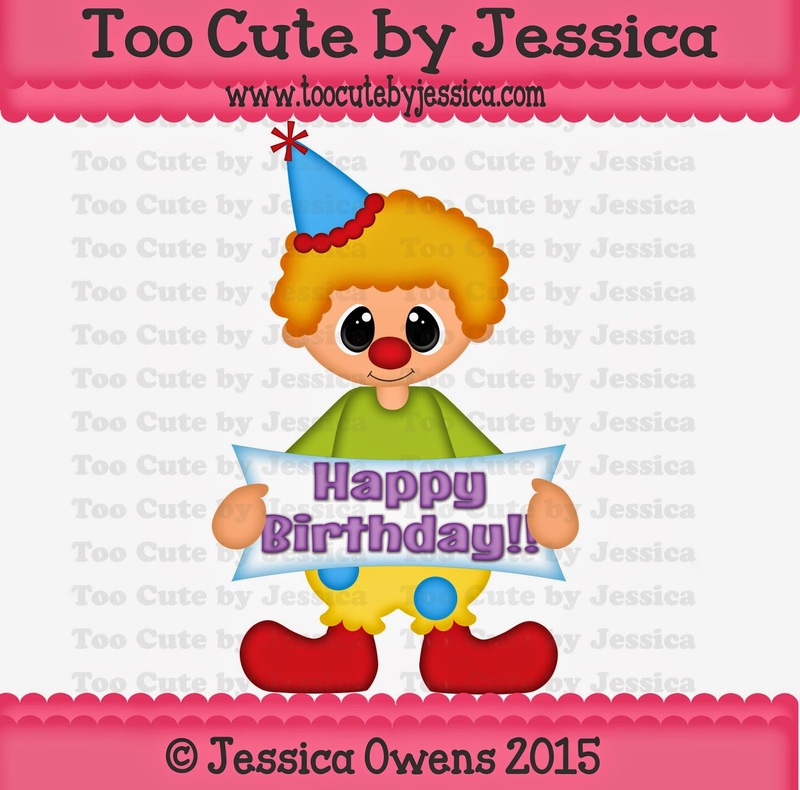 Craftin Desert Divas stamps now has an exclusive license with Kristi W Designs to add Kristi's super adorable images to Tara's stamps. These images and sentiments come with a SVG outline that is FREE to you. They are in the CDD Gallery on Facebook under the files tab. Each day, there will be a new FREE SVG pattern. You can email craftindesertdivas@gmail.com to request it. You must comment and follow each blog in order to get the free file. Join us this Friday & Saturday for our hop and more free files!! Now for some birthday fun! All week long we are going to host games and have prizes in the CDD Gallery. Be sure to join us. Now put on your party hat on and get ready to celebrate with us!! Join us this Friday & Saturday for our blog hop. 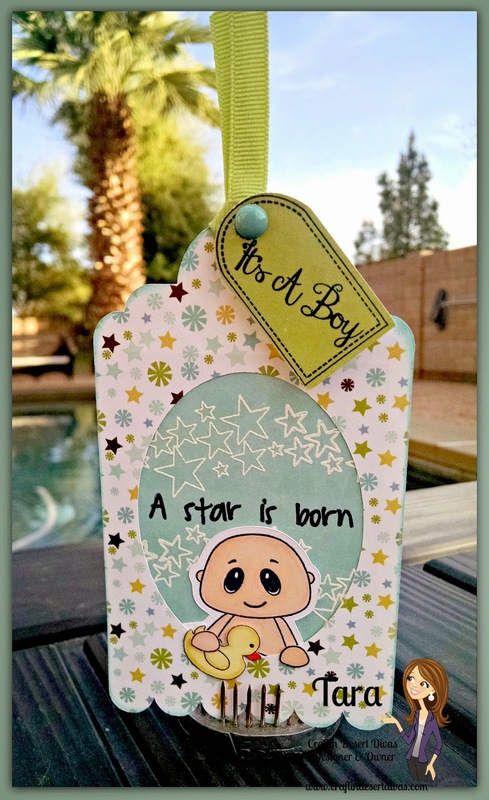 For the new stamp Bitty Blessing I decided to make 2 gift tags. I've also made the babies into a peeker on the tag. 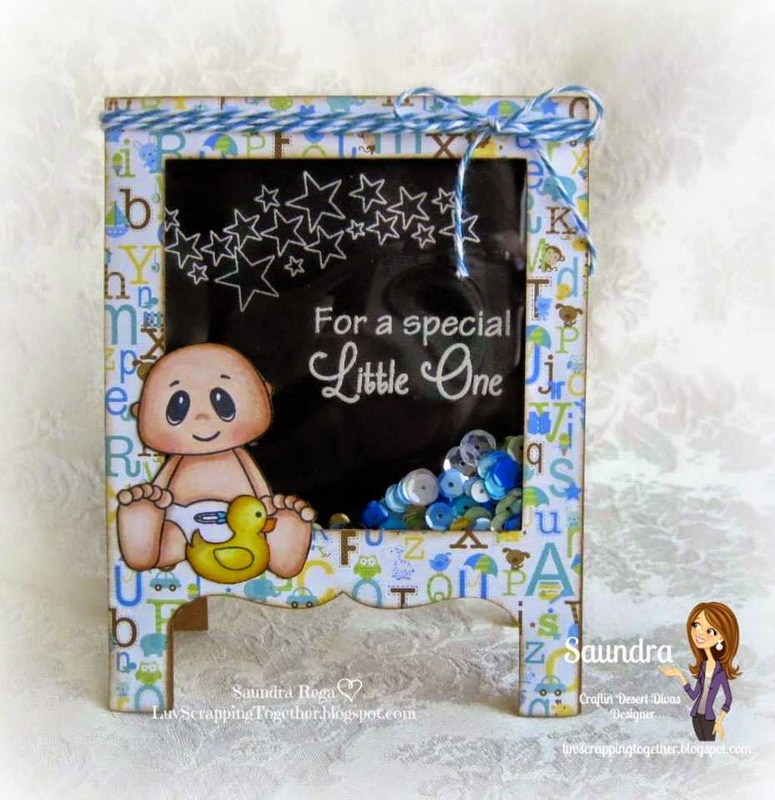 This is another stamp set that you will have extra little elements on that makes them very versatile. I've added a bow to the baby and made her a girl. There are a few faces on this set also, so you can mix and match them! There is also a hand stamp, which I've used to show the boy holding the duck and both of them look like they are "peeking" from inside the tag. Super simple but I love having options when I am creating. 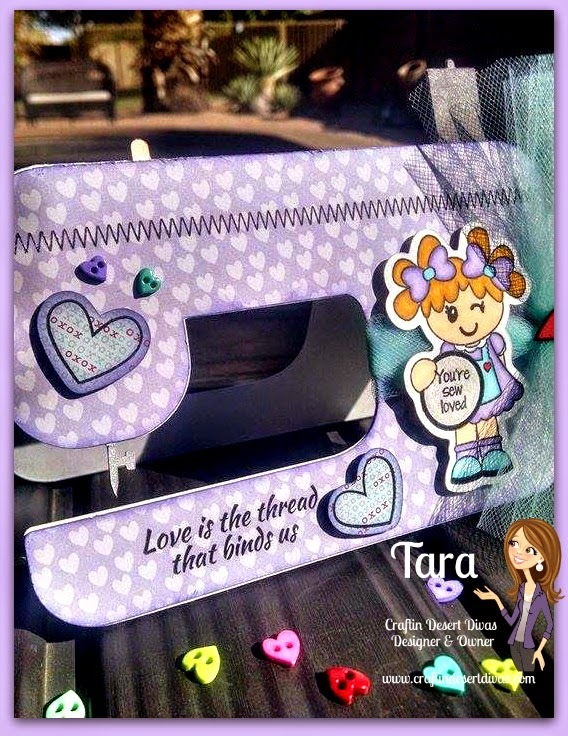 All of my sentiments are from my Snips & Snails and Sugar & Spice stamps. Which you can find HERE. I think they work very well with this set. My tags up at the top are from my Short & Sweet Tags stamps. Next up I've created a sewing machine shaped card for the Sew Raggedy stamp set. This is another set that has options!! As you can see by all the variety of projects shown above by the DT. 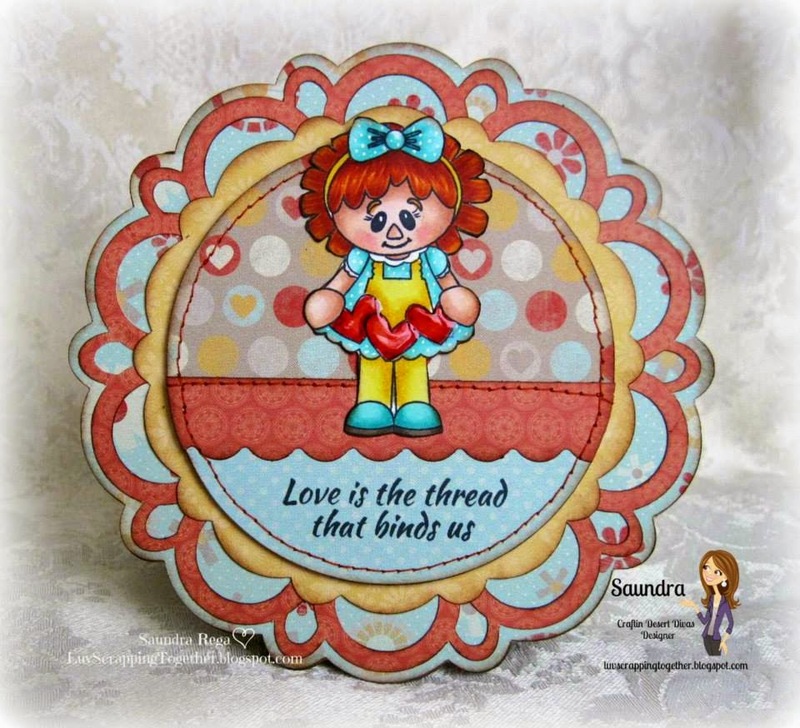 There are a couple of faces for the Raggedy Dolls and the round sign is also left blank and there are a few different sentiments that you can stamp in it, so this gives you more options. I also love the zig zag stitching which is included on this stamp set. I hope you have enjoyed all of the sneak peeks so far. We still have one more set to preview tomorrow. Hope you will join us!! Please email craftindesertdivas at gmail dot com to request your freebie pattern. Be sure to comment and follow each blog in order to get the freebie pattern. Stamps will be available to order on Friday. We hope you will stop by the Craftin Desert Divas Shop and the Craftin Desert Divas Gallery Facebook group. 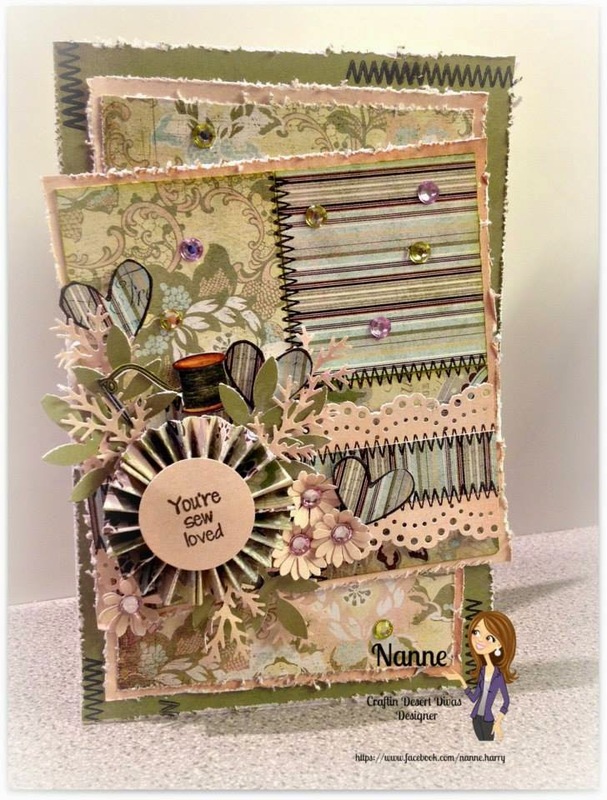 We would love for you to join us and share your creations with us using Craftin Desert Divas' stamps. In this group, we show previews first, have giveaways and much more! The tags are so cute! 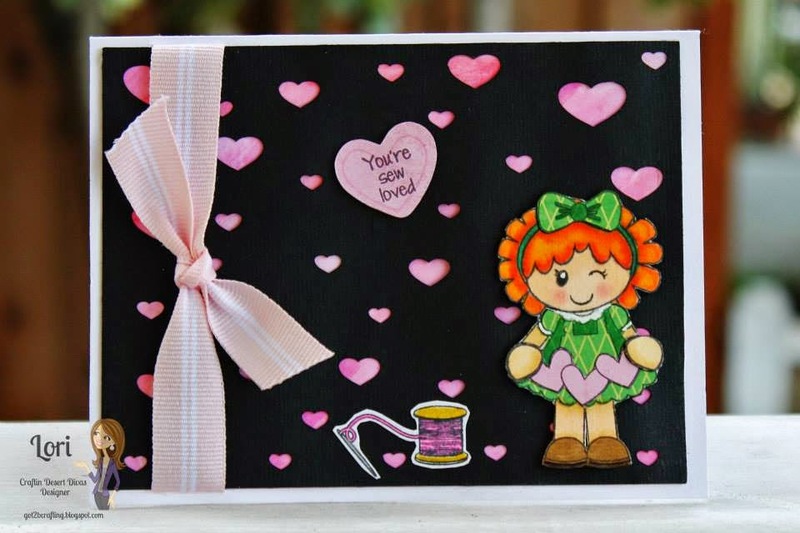 I love the sewing machine card! 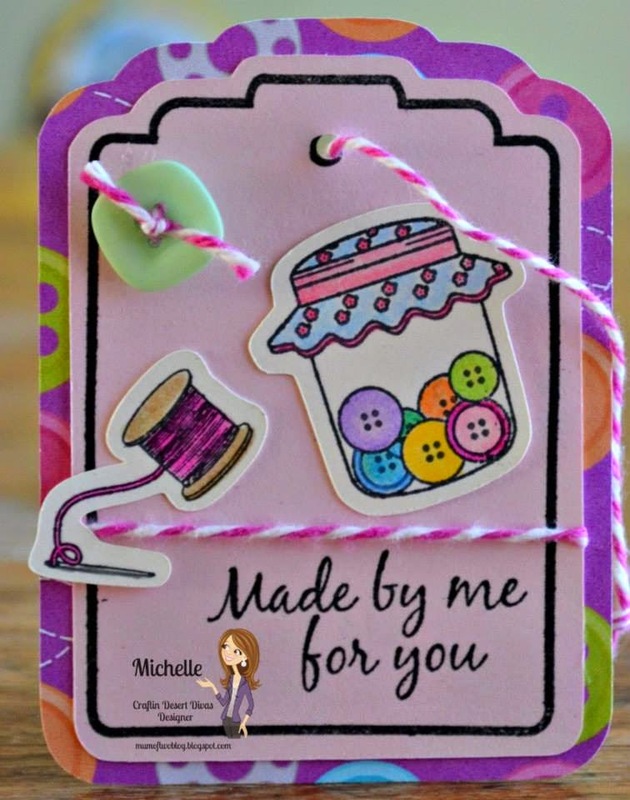 Love your gift tags and sewing machine card. Awesome and Beautiful. The hop was a lot of fun again today. Very beautiful and awesome projects. Thank you for sharing. Have a nice crafty day. Both are so cute. I really love the sewing machine. Very cute tags! 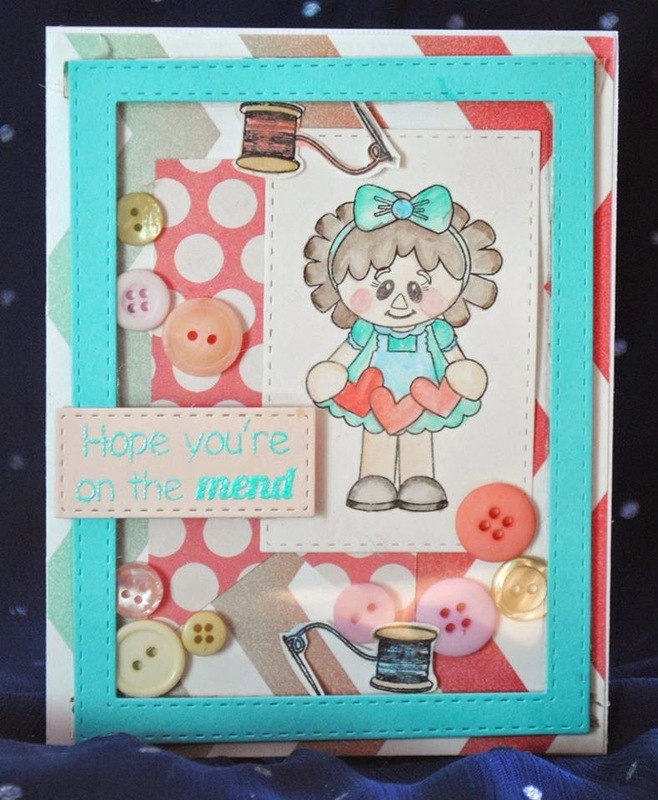 I am so in love with the sewing machine card!! Great choice of colors and everything!! By far, my favorite today!! TFS. Wow love your projects!!! The sewing machine card is spectacular. These are absolute gorgeous. Love the little baby peeking out. I love the tags!! They are fabulous!!! 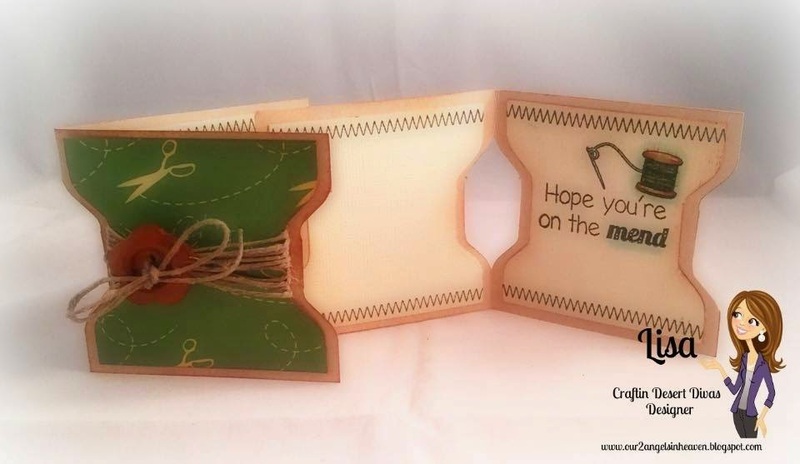 Your sewing machine shaped card took my breath away though!!! You are a rock star!! Your projects came out perfect Tara !!!! 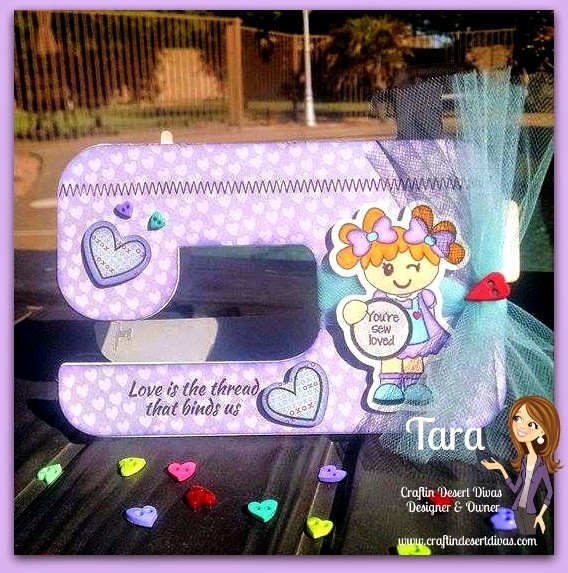 I love the tags , and your sewing machine card is SEW CUTE !!!! Love it tara! Thanks for having me! Tara your tags are amazing and I love the card!! These stamps are a must have! Fabulous projects, Tara. Love these stamps! Tara you are amazing! I love the Bitty Babies....they are so cute. The Sewing machine card is so creative. Wonderful Job! Thank you for sharing your creative inspiration with us. Another fantastic round of designs. You all did an amazing job. TFS! I'm going to a retreat this weekend and hope to use some of these awesome ideas! 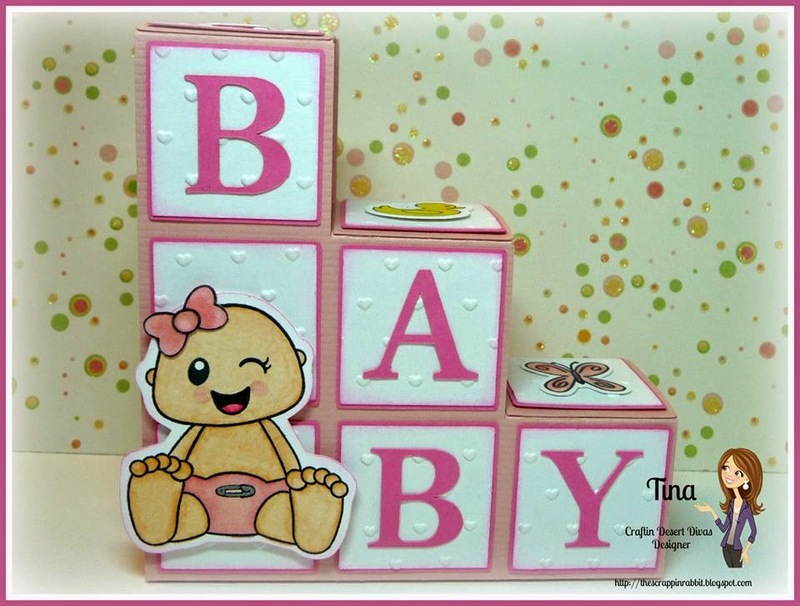 the baby tags are just too cute....and the sewing machine-WOW!!!! I love the baby sets!!! Amazing projects again Tara!! So awesome!!! The little peeking babies!! Love Raggedy!! love your tags!!! these are so cute!! The little babies are so so sweet!! 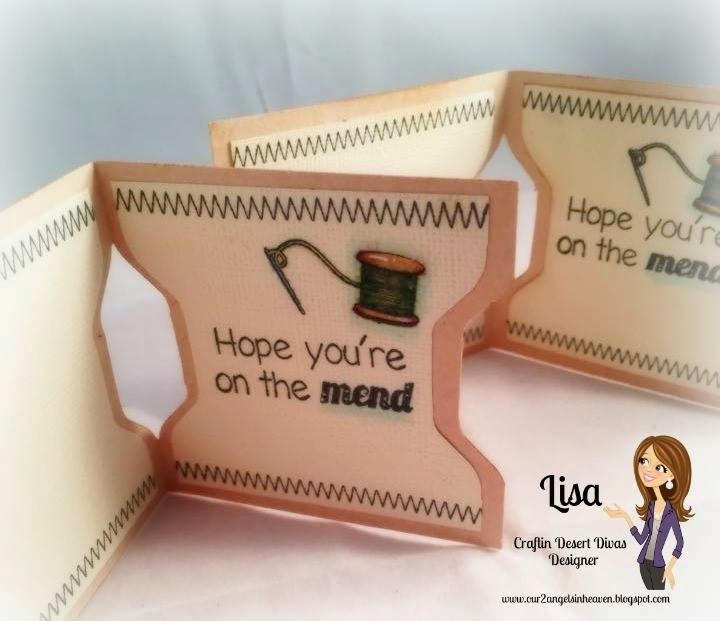 The sewing machine goes perfectly with your new Sew Raggedy stamp set!! Great hop today with so much inspiration! Tara you make the most adorable tags, theses two are so wonderful & cute. All I can say about the sewing machine card is WOW.. Fabulous. You always do a marvelous job showcasing every single stamp set. I love the sewing machine card. love it all. Great projects. Your tags are so sweet and cute! Your card is beautiful! They are all great, my favorite is the sewing machine. I love your cards. All the projects made are super cute. Great tags and card. I especially liked your sewing machine shaped card. Love the tags, but the sewing machine was my favorite. Those tags are so adorable! I love everything about them, especially them peeking! These are so sweet!!! And great day of projects! Oh my your tags are so cute I just love all the little added pieces. Love the raggedy set she is too darn cute!! Your new releases are so stinkin' cute! I especially love the Sew Raggety!